Paula Deen bought all her old shows from the Food Network. She'll gradually air them all, along with new shows, on her web site, the Paula Deen Network. Paula Deen has purchased all her old shows from the Food Network. They will be available along with her new cooking shows on The Paula Deen Network, which launches online Wednesday. 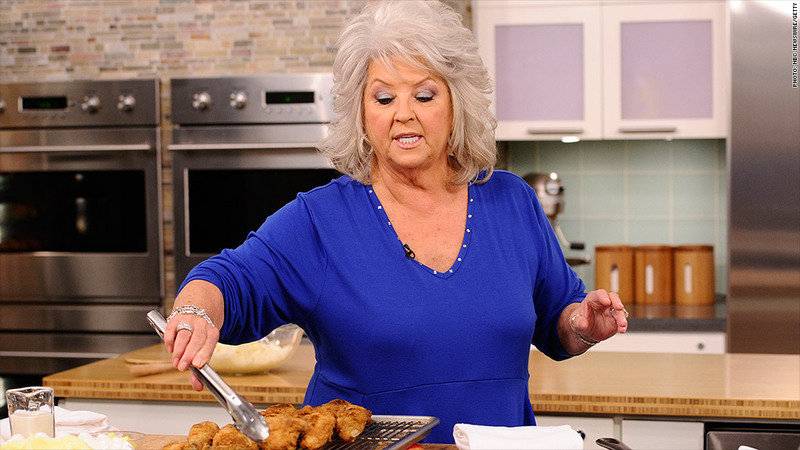 Deen, the media maven of Southern cuisine known for her catchphrase "hi y'all!," acquired the 440 shows in which she appeared on the Food Network, according to her spokesman. She plans to gradually air two "vintage" episodes per week for subscribers on her web site. "So come on in and sit yourself down at the Paula Deen Network -- it's the heart of home cookin,' y'all," said Deen, in a press release. The vintage shows include her first, "Paula's Home Cooking," with 12 seasons airing from 2002 to 2008, "Paula's Best Dishes," which had 14 seasons from 2008 to 2013, and "Paula's Party," with four seasons from 2006 to 2008. There are also 11 specials, including "Paula's Southern Thanksgiving" and "Paula's European Vacations." This is the latest chapter in Deen's comeback, after her corporate partners dropped her like a hot potato last year in the wake of a racism scandal. Scripps Networks Interactive, the owner of the Food Network, allowed Deen's contract to run out after she admitted, during a lawsuit deposition, to having once used a racial slur. The judge threw out the racial discrimination lawsuit against her, but her corporate partners wanted nothing to do with her. Wal-Mart (WMT), J.C. Penney (JCP), Sears (SHLD), Target (TGT), Home Depot (HD) and the shopping network QVC stopped carrying her branded cookware. Caesars stopped operating her restaurants at its casinos. Pork producer Smithfield Foods canceled her as a spokeswoman and stopped selling Deen-themed hams. Novo Nordisk (NONOF), which makes a diabetes drug called Victoza, also severed its relationship after signing her on to be the face of its diabetes education campaign. Deen, who was mocked on Saturday Night Live for her love of butter, was eventually diagnosed with type 2 diabetes. Deen, who has authored a trove of cookbooks, was slated to release a cookbook last year called "Paula Deen's New Testament." But the book got canceled by Ballantine Books of Random House, despite pre-orders surging 1,300%, pushing it to the top of Amazon's (AMZN) bestseller list. But Deen's popularity among her fans remained strong, and they continued to crowd her restaurants in Savannah, Ga., and buy her products. She also picked up a new investor, Phoenix-based Najafi Media, who helped her launch Paula Deen Ventures with an operating budget of $20 million. With the help of Najafi Media, she opened a new restaurant and retail store featuring Southern-fried fare called Paula Deen's Family Kitchen early this year in Pigeon Forge, Tenn.